I and many others in the RMIT community are struggling to find ways to deal with the loss of our dear colleague and friend Adrian Miles. Adrian had a profound impact on me in a very short space of time. My current book project has a foundation in many of the challenging ideas he threw at me; so much so that picking up work on it again will be tough. Finding words is something Adrian never struggled with. I thought I’d collate some of the hundreds upon thousands he foisted on colleagues, students, and friends. Suggestions welcome in the comments: I’ll update the post with any additions. If you’re wondering how best to remember Adrian, maybe pick up one of the following, or take 25 minutes’ silence, with a 5-minute break. Bogost, Ian. (2012). Alien Phenomenology, or What it’s Like to be a Thing. University of Minnesota Press. Ingold, Tim. (2011). “Rethinking the Animate, Reanimating Thought.” Being Alive: Essays on Movement, Knowledge and Description. Routledge. Latour, Bruno. (1987). 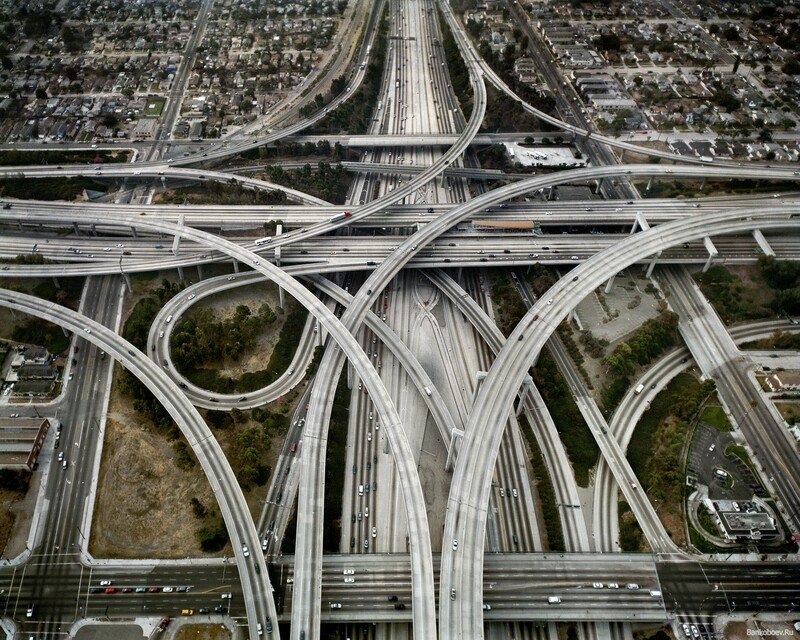 Science in Action: How to Follow Scientists and Engineers Through Society. Harvard University Press. Pickering, Andrew. (1995). The Mangle of Practice: Time, Agency, and Science. University Of Chicago Press. Stewart, Kathleen. “Atmospheric Attunements.” Environment and Planning D: Society and Space 29 (2011): 445–453. Vannini, Phillip. (2015). Non-Representational Methodologies: Re-Envisioning Research. Routledge. I am lucky to have a job that I love. But in the eighteen months of settling into full-time academia, I seem to have lost sight of the ‘love’ and become fixated on the ‘job’. A weird thing has happened in recent weeks, in that I’ve tried to become more focused on what is actually important about my work — and what feels the most rewarding. There are two main strands to the workload of an academic at my level: teaching and research. Research covers the writing and publication of scholarly work — be it journal articles, book chapters, conference presentations, monographs. Teaching is what it says on the tin. In 2011, mid-PhD, I took my first class at Western Sydney University (then UWS). It was a boring compulsory course, but I caught the bug, and have loved teaching ever since. With the transition to full-time employment, I’ve always tried to have time for my students, time to sink into my pedagogy, but that time has always felt sapped by other commitments. I say felt, because I’ve realised that the sapping of time has only occurred because I’ve let it. This semester, I’ve turned a corner. The most important commitments I have, during semester time, are my students. Everything else is secondary. To be clear, I don’t think the time I spend on teaching or research will change this semester (I have a book chapter to finish, a presentation to write, and a monograph to approve all by September). Rather what has changed is where my head is at most of the time: ensuring my students are, if not blissfully happy, then at least reasonably clear about what I’m trying to teach them, and the experience I would — ideally — like them to have. In my first classes this week, I introduced first-year students to the Pomodoro technique. I’ve had a mixed relationship with the technique, but sometimes find it useful in terms of getting my head fully into a project during its opening stages. In solidarity, I too typed non-stop for 15 minutes (a reduced pomodoro — usually they run for 25). The results were… well, they were a glimpse into the chaos of my brain. I’ve edited them slightly (ditched typos and some of the more bizarre tangents), added links and some editorial notes, and re-posted here. The unit is a foundational media subject, and is a blend of theory and practice. Prompt: What would you like to get out of the class? I would like to hone my pedagogy — in particular getting students engaged during workshop and lecture time. I am actively working to fill the lecture time not only with content, clips, and relevant examples, but also with activities that break the monotonous delivery. First point: I am a teacher. This is a role that bestows on me power and control over others. Second point: I am white, male, heterosexual, educated, and middle-class. This is an identity that inscribes within me a particular world-view. Third point: I teach film and media studies. This is a discipline which is inherently linked to the neoliberalist agendas of globalisation, consumer culture, and corporate-political power. Neoliberalism fosters a complicit and compliant consumer citizenry, and much of this is based on the marginalising of non-dominant voices in the public sphere, and the exploitation of the owners of those voices to perpetuate power structures and the ‘global’ marketplace (Gorski 2008, p. 518). The goal of most protocols or policies concerning multicultural or intercultural education seems to be the furthering of these neoliberalist agenda, at least according to Gorski (p. 519). The other alarming characteristic of most attempts at cultural inclusiveness within education is a lack of awareness of the wider sociopolitical context; in essence, an ignorance of the wider world. As educators, both Gorski and Holladay (2013) have worked through a neoliberalist understanding of what multicultural education should be. For Gorski, this involves ‘the facilitation of intercultural dialogue, an appreciation for diversity, and cultural exchange’ (p. 520). For Holladay, it means working with elementary school children through a limited perspective on historical events. Both of these educators, too, have been complicit in allowing the trivialisation of important events to occur on their watch — case in point: Taco Night. To reject neoliberalist agenda in intercultural education, Gorski suggests that it is not learning activities or lesson plans that need to change. Rather, an entire intellectual and philosophical shift must occur within the educator. Part of this is acknowledging that ‘cultural awareness is not enough’ and that ignorance of the sociopolitical context further marginalises those already non-dominant voices in the learning space. Holladay takes it further: by infusing multiple perspectives into learning, what the educator is doing is converting ‘consumers’ (the neoliberalist student-subject) into socially-aware critical thinkers. The biggest problem facing both novel paradigms of education, from my reading, is that critical thinking is not seen by the neoliberalist conspiracy as a marketable skill. As a media teacher, I am aware that the industry into which I am sending my students is competitive and is also linked to very old structures of power. However, I see that I have a responsibility to ensure that all my students can survive in this world. Part of this is ensuring that they are aware of those structures of power, and a further part is demonstrating ways in which those monolithic frameworks have been defied, or even ignored. The wonderful thing about film and media studies currently, is that many who were long silent now have access to production and distribution technologies. I have a responsibility to ensure all of my students can harness those technologies themselves. First point: I am a teacher. I have a responsibility to ensure that all my students feel valued, and to offer and encourage them all to share their voices. Second point: I am white, male, heterosexual, educated, and middle-class. This does not absolve me from the responsibility identified in the first point; it should, in fact, inspire me to work harder to ensure equality in the learning environment. Third point: I teach film and media studies. This is a discipline which has the power to break down perceived social barriers, to allow non-dominant voices to express their views, and to widen a student’s perspective on the world they share. Gorski, PC 2008, ‘Good intentions are not enough: a decolonizing intercultural education’, Intercultural Education, vol. 19, no. 6, pp. 515-525. Holladay, J 2013, ‘Multiculturalism in the modern world: Jen Holladay at TEDxDenverTeachers’, TEDx Talks, <https://www.youtube.com/watch?v=U5rKgDOs33U>. [6 May 2015]. 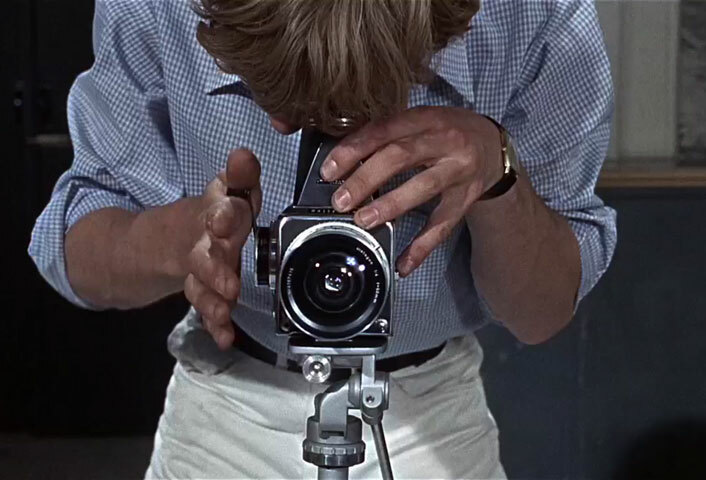 Blow Up, Michelangelo Antonioni, 1966. – Daniel Frampton, Filmosophy, p. 125. As previously alluded to, I’m in the very strange process of having to think through my own comprehension of the cinematic medium. In a way, I’m taking baby steps towards my own theory of film. I’ll be taking these initial explorations to a couple of conferences in New Zealand in a couple of months, and I’m also running a studio around the same topic in the second half of the year. The basis of this new research is that throughout film history, film theory, the notion of the ‘frame’ is never questioned. So much of this is due to the fact that up until very recently, the frame itself was a tangible thing: there’s little need to theorise or philosophise about something you can cut up and hold in your hand. While my research goes out on multiple tangents, the ones we’ll be looking at in the studio have to do with our framing of the world, and how we can link this notion of framing to our conception of self, and our own thought process. It sounds pretentious, I’m well aware, but I’m hoping that through exploring what a cinematic frame is in 2015, we can move towards a comprehension of digital cinema that is either entirely new or, at best, a – ahem – reframing of older theories of film form and philosophy.